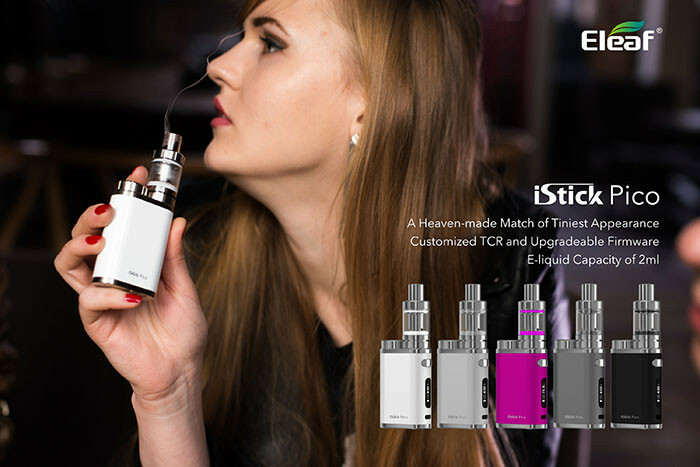 Eleaf iStick Pico 75W TC Starter kit is a product of collaboration with Master-Crafter Jay Bo who brings the Vape Community one of the smallest 18650 Mods to date. Introducing Eleaf’s all-new Pico 75w Temperature Control Starter Kit. 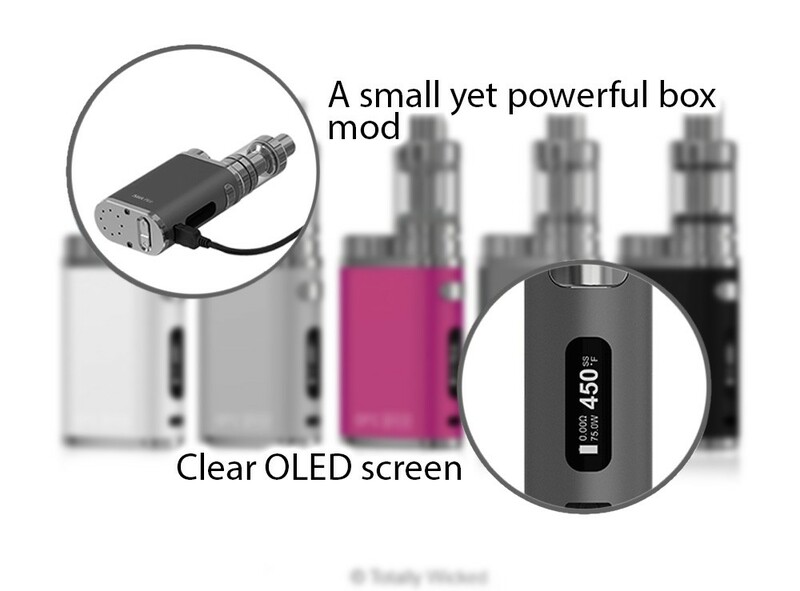 This miniature mod measures in at 45mm by 23mm by 70.5mm and houses a single 18650 battery (not included). The Pico offers a Micro-USB port for firmware upgrades and supports wattages as low as 1w and can be fired all the way up to 75w. Temperature Control mode supports Ni200 Nickel, Titanium and Stainless Steel heating elements as well as three separate custom TCR modes for those who would like to vape with their own temperature coefficients. 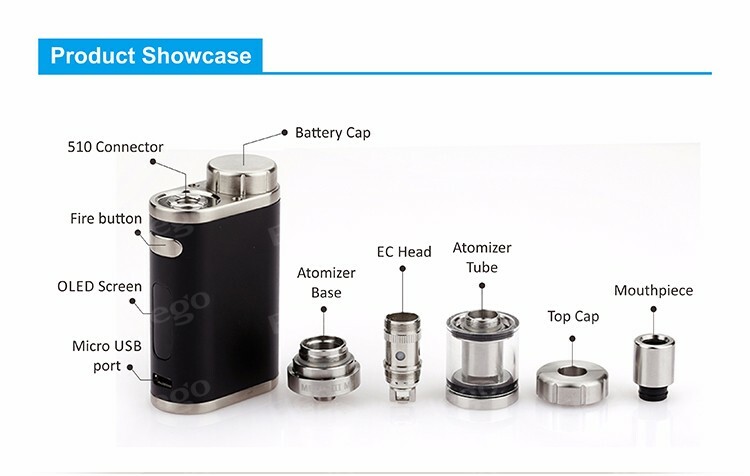 The Pico features a top loaded battery cap that protrudes 5.5mm from the top of the device, adding a unique look that ergonomically sets this device apart from the others. The bright, full-sized OLED screen displays the current wattage, atomizer resistance, output temperature and battery life. On top of this device sits the beautiful Melo III Mini Sub-Ohm Tank. This top-filling tank features a 2mL fill capacity and is compatible with Atlantis, Triton and cCell Coil Structures. The Melo III tank offers a clean and minimal look with an Invisible Airflow Control that discreetly hides the adjustable airflow. In the box you’ll find a 0.3ohm Kanthal coil (rated at 30-80w) as well as a 0.5ohm Kanthal coil (rated at 30-100w). Jay Bo and Eleaf make it perfectly clear with their newest addition to the iStick family: Just because it’s small doesn’t mean it cannot pack a punch! If you’re looking for a new all-in-one pocket friendly device, look no further than the Eleaf iStick Pico 75w Starter Kit!